In Propertybase version 1.504, a new version of the Contact Manager was released. This feature allows you to quickly and efficiently browse all of your Contacts. In this article, we will cover available features and configuration options. Not sure how to access the Contact Manager? Click here. You can access the Contact Manager through the app launcher, as shown below. Click the App Launcher in the top left corner of the screen, then click Contact Manager. The Contact Manager is made up three main sections: filter options, results, and actions. The following section will explore these in more detail. By manipulating different filter values, you can narrow (or broaden) your results list. This is helpful for finding specific Contacts, as well as dividing your clients into specific segments. With the release of Propertybase 1.579, it's now possible to filter by the record owner. This allows users to view all Contacts or just their own. Note: Administrators can turn this feature on by default under "Record Managers" in the Control Center. With the release of Propertybase 1.538, it's now possible to filter using a date range. Not sure how? Follow the steps below to learn more about using a date range filter. First, click the plus icon to add a new filter. Next, select any date field. Next, you need to decide if you want to filter by a date range, date maximum (created before the selected date) or date minimum (created after the selected date.) Additionally, you enable the "not" checkbox which will inverse your filter to only show records that "do not" match your filter. Determine how you want to filter using the selected date field, then click Add. Next, click the calendar icon to select a date or range. Done! Your new date filter should now be applied. You can use the checkboxes to the left of each record to select it. There is no limit to the number of records you can select. In the top right corner (top row) of any List Manager are action and view control buttons. Actions allow you to perform specific tasks with any selection of records. "Print PDF" will generate a list of selected records in PDF format. From there you can email or print the PDF for your records. "Send" allows you to send an email to a selection of Contact records. "New" simply allows you to create a new record, depending on what List Manager you are currently using. In the top right corner (bottom row) of any List Manager are view options. View options allow you to switch between standard "List View" and "Thumbnail View". Depending on the data being displayed, one view may be more beneficial than the other. Starting with Propertybase 1.513, you can now save filter criteria in the form of lists. This allows you to quickly and regularly view Contacts that match certain criteria, without the need to select filters each time. Before you can start using this feature, you must update to Propertybase version 1.513 or later. Click here to update. To save a list, click the filter icon in the top right corner and then click New List. Note: There are now two options when creating a new list: dynamic or static. Click here to learn more. Enter a name for your list and then click the New List button. Bam! You just successfully created a new list. However, without filter criteria, this new list won't be able to offer much. Next, let's add some filters and then save our criteria. Using the options available on the left side of the screen, select some filter criteria. In the example below, we have selected "Open House" as the Lead Source. However, filter criteria should be unique for each list you create. Note: You can add additional filters by clicking the "plus" icon at the bottom of the filter area. Additionally, you can remove filters by clicking the "trash can" icon to the right. Whenever you make changes to filter criteria, you must update the list. Otherwise, you will lose your changes. Let's do that now. To update a list, click the filter icon in the top right corner and then click Update List. When prompted, click Save to update the current list with your latest changes. That's it! You have successfully created a new list, added filter criteria and updated the list with your changes. Now you can quickly reference this list anytime, by selecting it from the list drop-down menu, as shown in the image below. Previous versions of Propertybase offered one type of list. Starting with version 1.545 it is now possible to choose between a "dynamic" or "static" list. Need to upgrade? Click here. 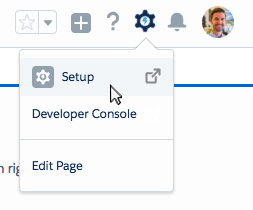 When you create a new dynamic list, all filter options (located on the left side of the screen) are kept and the list will update dynamically as your contact database grows. For example, A list that displays all contacts that live in Boulder will update itself each time you add a new contact from Boulder. A static list is simply created once and does not change. When you create a new static list, the contacts selected will remain the same regardless of how your contact database changes. You can configure settings for List Managers and change default filtering options are in the Object Managers (Beta) in the Control Center. Settings for List Managers are broken down into two sections: Filter Fields and Results Fields. Filter Field settings control what filters are displayed and Results Field settings control how results are displayed. Not sure how to access Settings in the Control Center? Click here. Inside the Control Center, click Object Managers (BETA). This option allows you to essentially "inverse" the entire filter option. So instead of filtering for the specified criteria, you are filtering for the opposite. For example: If you selected this option for "Contact Type = Buyer", Propertybase would search all Contacts that are not Contact Type of Buyer. Filter type allows you to specify how to filter against the specified criteria. "Contains" is essentially your most traditional version of "search". Note: The following was introduced in 1.573. There are two types of Picklist filters available. Each of these types are described in detail below. Includes - Using the "Includes" filter will display results that include any of the selected criteria. For example, "Includes: Rooftop, Basement" would return results that include "Rooftop" OR "Basement" as well as other criteria. Equals - Using the "Equals" filter will display results that include all of the selected criteria. For example, "Equals: Rooftop, Basement" would only return results that include both "Rooftop" AND "Basement" as well as other criteria. NOT - When checked (see image to the right), "not" simply allows you to inverse the entire filter equation. The field option allows you to select which fields should be included in the default filtering options. You can use the "plus" icon to search for and select different fields. If applicable, the default value option will allow you to select a value to populate by default. For example, this can be helpful if your brokerage only deals with a single type of contact, etc. Use the up and down arrows under order to specify the order in which filtering options appear. This button can be used to completely remove a filtering option. You will want to scroll down below the list. The "Add new filter" button at the bottom of filtering options allows you to add additional filters. This slider is used to determine how many results should display on each page. Checking this option, in conjunction with "Sort By" will reverse the sort order from last to first. Example: Enabling "Descending Sorting" with "Sort By" set on the "Contact Name" field, would sort your Contacts backwards from Z to A. Example: Disabling "Descending Sorting" with "Sort By" set on the "Contact Name" field, would sort your Contacts normally from A to Z. Enabling the Card View option on a select number of fields will group them together and save space. When using card view, you can specify how the data should be formatted. If left blank, only the specific field value is displayed. For example: If you would like to add a label, like "beds" or "$" you can do that by using the formatting shown on the right. Selecting a field for "Sort By" tells Propertybase what field should be used to sort the results list. You will want to scroll down below the list. The "Add new filter" button at the bottom of result options allows you to add additional columns. Before using the new Contact & Listing Managers, you must update to the latest version of Propertybase. After updating to the latest version, please follow the configuration steps below. 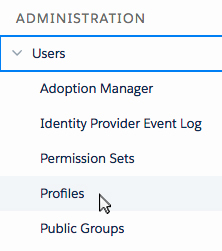 Click Profiles in the Setup navigation menu. 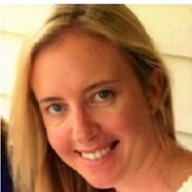 Click PB Administrator in the list of profiles. Scroll down and click Visualforce Page Access. Repeat the steps above for the PB Agent profile, as well as any custom profiles.